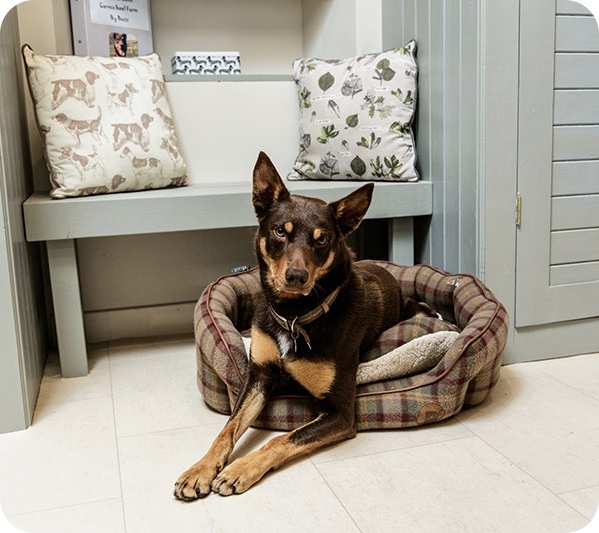 We are keen to provide a warm welcome to dogs and they are well catered for at Carmichael Farmhouse. We have a good size,well fenced garden and many walks from the doorstep. We have an outside secure kennel and run if it is too hot in the car for your dog or if you are sightseeing and cannot take the dog. In the Farmhouse there is a warm and comfortable dog room for them to sleep in. Dog terms and conditions.